What Will Your Company Look Like in 2025? If we fund an early stage startup company today and it’s hugely successful, it will be coming into its own in 2025. Ponder that for a moment. As a company scales rapidly, it adds people quickly. Many things about this are difficult, but a vexing one has to do with your leadership team. Brad Feld often says, "Build the company, and make decisions as though you’ll be running it forever." Here, he shares some key pointers for CEOs to act on. 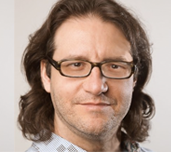 Brad Feld sheds light on many of the complex financing structures and the problems associated with each that founders may encounter when raising investment. The obsession amongst both founders and investors with becoming a "unicorn" company is leading to the overvaluation of startups in Silicon Valley. Two things drive decisions: greed and fear. Recently, fear seems to be sticking around. But you can build great companies in times of both greed and fear. Today, people throw around hundreds of trendy words in the context of their startups. Many are completely meaningless and obscure reality. As a founder, don't try to fake it. It blew my mind—we understand the pressure the founder was likely under, but recapping seed rounds is, in my book, silly. Entrepreneur, VC, and angel investor explains how founders can avoid getting screwed when financing after they've raised convertible notes. Have you ever finished something and thought to yourself, “That didn’t need to take an hour?” Here are 4 approaches to deal with a massively over-scheduled life. There are definitely new and interesting things happening this time around, but what can we learn from the past?